The field of massage owes much of its current popularity and recognition as a health care option to the sports world. Massage and bodywork is an effective tool for the enhancement of performance, as well as the prevention and treatment of injuries. Our sports therapists have received training in the evaluation and treatment of soft-tissue injuries, which can be the results of sport activity or from work or daily activities. No matter what the cause, injury principles are basically the same. Training is also received in range of motion enhancement and proper use of the body in activities. This helps aide in the prevention and treatment of any injury. Our sports therapists integrate massage modalities with movement, stretching, and education in proper mechanical use of the body to achieve the best results for their clients. All of our therapists are trained in Sports Therapy. Susan Wright, Frank Merillat, and Mae Leone hold advanced certifications in Sports Therapy. This slow, deep approach addresses the body’s connective tissue, also known as fascia. Fascia is the structural tissue that runs throughout the body separating muscle from muscle, connecting muscle to bone and connecting bone to bone. Both the circulatory and nervous systems lie within the connective tissue, therefore this approach has widespread effects on health and wellness. Constriction in the connective tissue is responsible for many problems expressed in the physical body. Fibromyalgia, for example, is an inflammatory condition of the connective tissue that can be very painful and debilitating. Our therapists are trained in very slow, sensitive myofascial technique which can be quite effective in treatment of fibromyalgia, as well as tendonitis and many other injuries. All of our therapists provide Deep Connective Tissue Therapy. The Trager Approach is an expression of the work of Dr. Milton Trager. He became interested in the connection between the physical body and the mind as a young man. An active gymnast and athlete, he was striving to get the best performance from his own body. What began as self-exploration of the interaction between the body and the mind, developed into an approach that could be used with others as well as oneself. The approach focuses on getting the most efficient use of our neuromuscular system. Through the use of gentle movement it explores how we use our bodies. It gives us a chance to see what causes pain, discomfort or limitations in movement. Based on the idea that the nervous system controls our muscular responses, the approach maintains that all work or movements be made without pain. Pain activates the nervous system, thus causing tightening of muscles that can result in possible pain and the restriction of movement. This is especially true with chronic pain. Dr. Trager taught that it is most important for the body to experience functional, pain-free movement; thus the approach utilizes this principle as its foundation. During a Trager session, which can be given either clothed or under draping, clients are encouraged to share with their therapist any time that a movement or technique causes discomfort. When this occurs, the therapist and client work together to find ways to treat the area in a pain-free manner; thus the client is involved directly in their own therapy. Sessions include table work and self-care movement activities that the client can use outside of the session to help support their therapy. Clients are also encouraged to explore thought process and attitudes that may also affect the neuromuscular system. A series of questions are used to help explore what could be more comfortable. Besides being very informative about the client’s neuromuscular system, the sessions are very relaxing as well. The basic principle of this approach is that the client experiences what it is like to be comfortable and feel good during the session. This trains the nervous system to operate in the most efficient and functional manner. Dr. Trager invited his clients to go “swimming in the sea of pleasantness.” What could be easier or feel better than this! Frank Merillat is a certified Trager Practitioner. Our physical body often reflects of our mental state. Our thoughts, emotions, attitudes and perceptions can determine the tension level of our bodies. The muscles are connected directly to the mind. By using techniques to increase awareness of thought or behavior patterns and their relationship to the physical body, touch therapies can assist the client to have a more integrated experience. This can result in reduced physical discomfort especially in problems resulting from repeated patterns. This technique is particularly helpful in healing from traumatic injury, such as physical or sexual abuse, chronic pain and anxiety–related disorders, such as PTSD. While all massage enhances the mind-body relationship, several of our therapists (Frank Merillat and Mae Leone) are specifically trained in addressing the body mind connection and can provide additional help in this area. Frank has been in private massage practice since 1994. In addition, he is an instructor at the Florida School of Massage, where he teaches Kinesiology and Neuromuscular Therapy. He offers continuing education workshops focused on principles of movement, working with the breath, establishing deeper contact and the treatment of whiplash injury. He teaches massage in South Africa, as well. He has worked in a medical practice with Dr. Michael Faas, a long established Gainesville chiropractor, and spent four years as a therapist for the University of Florida women’s gymnastic team. He holds certifications as a Trager Practioner (Trager Approach) and in Sports Therapy. He has advanced training in Myofascial and Deep Connective Tissue Therapy, Craniosacral Therapy (Craniosacral Therapy), Polarity, and Positional Release. His practice has focused primarily on treatment of injury and habitual pattern problems that interfere with functional movement. He is interested in working with the whole person and the interaction between the physical body and the mind including a person’s thoughts and beliefs (Body-Mind Therapy). Frank believes in the power of gentle, light touch as practiced in the Trager Approach and craniosacral therapy noting that many people prefer a lighter touch and to remain clothed. He is also well-trained and experienced in deep structural and neuromuscular therapy (Deep Connective Tissue Therapy, Neuromuscular Therapy). He wants to match the person’s needs with the appropriate technique for them to get the best results. Frank’s 30 years of experience as an educator and human service worker added to his bodywork training enhances his ability to involve his clients in their own health care. 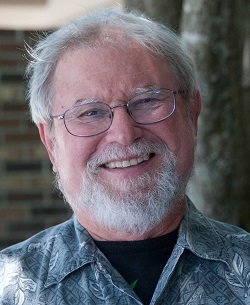 He has been a co-owner of A Center for Therapeutic Massage since 1995. 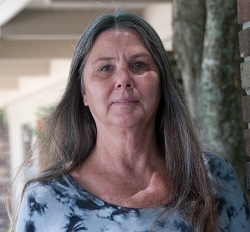 Mae has over 20 years professional experience as an LMT and has advanced trainings in: Deep Connective Tissue Therapy, Sports Therapy, Polarity Therapy, and Positional Release, among others. She is particularly gifted in Headache/Migraine Relief. As a Social Worker, she has practiced counseling for over 10 years, and as a Licensed Clinical Social Worker provides both individual and group therapy. Her counseling skills are applicable for massage clients interested in Body-Mind Therapy where the relationship between tension patterns in the body and emotions/cognitions can be explored. 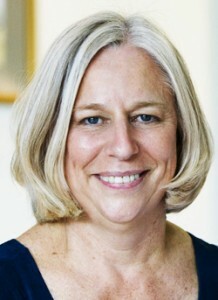 She utilizes a variety of cognitive therapies in her counseling work, and has advanced trainings in Gestalt Therapy. Her social work experience includes: Hospice, Children’s Medical Services, Domestic Violence Counseling. She has volunteered as an Information Specialist with United Way Information and Referral. She is co-owner of a Center for Therapeutic Massage. Susan joined our group in 1999, and is skilled in a wide range of bodywork options including Deep Connective Tissue Therapy, Neuromuscular (Trigger Point) Therapy, Myofascial Release, and Swedish Massage. She is certified in Sports Massage, and has extensive training and experience in treatment of shoulder injury/rotator cuff tendonitis, neck and back pain, whiplash, plantar fasciitis, fibromyalgia/myofascial pain syndrome, elbow tendonitis, and headache/migraine. Susan encourages her clients to work with her to create a treatment approach tailored to their specific needs and preferences, and to provide feedback throughout the process to further refine their experience and continued well-being. She also has a background working with children and adults with disabilities, and is comfortable accommodating individual needs. Whether you have a specific issue you would like addressed, or would just like a soothing relaxation massage, you can reach Susan directly at 352-222-4796 to schedule an appointment, ask questions, or set up a free 15 minute consultation to meet her and tour our facility.